With Governor Gavin Newsom’s apparent pledge to significantly reduce the scope of California’s high-speed rail (HSR) project, dismissing the current feasibility of connecting San Francisco to Los Angles while touting a limited run between Bakersfield and Merced to avoid an abandonment of the project overall, the potential knock-on effects for San Francisco extend well beyond the City’s wounded Transit Center. 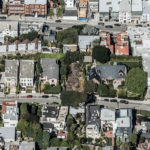 In addition to threatening the planned downtown extension (DTX) and undergrounding of rail lines from Caltrain’s current 22nd Street station to San Francisco’s new Salesforce Transit Center, a currently projected $6 billion infrastructure project for which the vast majority of funds have yet to be sourced, much less secured, an abandonment of the downtown extension would threaten the potential redevelopment of the existing Caltrain station and railyard at 4th and King, the redevelopment of which could yield over 2 million square feet of commercial development and up to 1.5 million square feet of residential space, based on current zoning alone. And of course, eliminating rail service from the Transit Center drastically changes the projected future traffic for both retailers and transit planners alike. And then there’s Caltrain’s electrification and modernization project which is currently underway and slated to be completed in 2022, with $713 million of its $2 billion budget to be funded by California’s high-speed rail project. I haven’t even been able to read any of the news accounts, I’m so upset. So short sighted if he is really abandonning the projects. The state has resources to keep plugging away until politics change in DC, and that’s what we should do. He’s not abandoning it. It was a poor choice of words, but his office clarified after the fact that he meant he wanted to prioritize the initial stretch to get something functional working and then tackle the remaining segments. Well, at over 100 Billion to complete (and rising) it is really not surprising. And that doesn’t even include the section between San Jose and San Francisco, or the extension to the SalesForce Transit Center. Add to that that the selected route is almost 500 miles long! (When you drive it is 380 miles.) Trains are supposed to travel at up to 220mph and take less than 3 hours to reach Los Angeles. At least at first it will take much longer than that because the SF to San Jose section will poke along at 50 mph. It won’t be a good alternative to air travel for many people. Remember BART. It was supposed to travel at 95 miles per hour and the tracks are designed for that speed. But because of brake problems on the original cars, the speed was reduced to about 70 — and I’ve never heard mention of returning to the original plan in all these many years. To say nothing of maintenance and hefty subsidies after high speed rail service starts. SF and LA may be just a little too far apart for a train solution to be successful. For example, Paris and London are 288 miles apart. I hope high speed rail does get built some day. But I’m not holding my breath. Combined population of LA/SF is 10x Madrid/Barcelona. Actually, The the combined population of Madrid/Barcelona is 12 million compared to the combined populations of the SF and LA areas of 27 million (3 times larger). The California route is 495 miles long compared to 387 miles in Spain. 2.5 hours works. I’m not sure 3.5 or 4 hours will be competitive with air. But who knows. It might be worth betting 100 or 150 billion, but the governor thinks not. That could change in the future. why not competitive with air? Oh, that’s right, every one of those 15M passengers is going to start/stop right across from the station, so the add-on’s magically disappear. There’s a mountain of operational evidence from HSR systems around the world that strongly point to your equating of the processes surrounding it not being the same as air travel.
. no i dont think that is the comparison. have you ever ridden trains in EU or Japan. you literally get there 10-15 minutes before., and if you live in SF, station not 40 mins away for most (unlike airport). there is no 20 min for disembark. more like <5. if your destination is downtown LA, you are there already. I think you nicely summed up the assumption – if not the attitude – of many of the posters on here. Unfortunately for them, only 2% of the state does…and Gavin is no longer one of them. Yes, DTSF has a large and concentrated base of business travelers – DTLA someone less – but there aren’t enough of them to reach the passenger totals being bandied about on here….which means you’re going to have to assume metro scenarios and incorporate more than 15′ for door-to-door estimates. Why would you show up at the train station an hour in advance? In Europe you should up maybe ten minutes ahead of time. No lines, no TSA. And an hour to get to the SF HSR station on Muni. Even if you live in San Francisco, unless you live right next to the train station, it will take time to get there. I live in a popular neighborhood only 3.5 miles from the Caltrain station, and with traffic, it takes 30 minutes to get to the station by Uber/Lyft or nearly twice that long by bus. So, no, a 40 minute average to get from your home in SF to the train station is not unrealistic. If they extend the Caltrain to the new Salesforce Transit Center, it may shave off 15 minutes or so, but it is still not just a quick jaunt away. And, I am not sure why are figuring in another 40 minutes to get from the airport to anywhere in LA “proper” as some disadvantage compared to rail. Yes, downtown LA has much more going on in recent years than it has in decades, but most people still visit LA, even for business, without going near downtown. (And, yes, I have been downtown, and yes, it is nice, but still…) So, most people are still going have to take 40+ minutes to get from downtown LA to where they actually want to go. you can bike 3.5 in 10 minutes. i live 4.5 rom caltrain and takes me about 20 mins in Lyft. LAX significantly worse than rail. i used 40 mins as an example but can be much more, and its takes time to get out, and 10minutes to hail uber. im not sure what the aim here is, but door to door, the train as ofirinally foreseen would be nearly the same as flying. It would be much more comfortable, and i think it could cut air travel back and forth to LA by 40%. i personally care about the environment and embarrassed that we cant do soemthing that the rest of the world can do. Actually more like 3x, but no worry, your math is no worse than other supporters. So what does correct math look like? Well the interest on $100B @ 5% would be $5B/yr into 15M passengers is $333/ passenger…just interest, even before any operating costs. Have you ever ridden high speed rail in other countries? Outside of the Chunnel there’s no security screening and it certainly doesn’t take 20 minutes to disembark! And it’s 2.5 hour planned running time at full build out so your math is totally messed up. Assuming no security screening is a bit wishful thinking. There will be a terrorist attack, and then there will be screening. Yeah, just like all of those terrorist attacks on the Shinkansen and TGV. There’s one every day. Oh wait. No, just the one of them. But even today, I believe you need to present ID to board an Acela train. europe has more terrorist attacks. and has never taken me more than 15 mins from arrival in taxi to getting to train. you should get out more often. Seeing as how I’m actually European I know it a hell of a lot better than you do. I also know the U.S. a lot better than you do if you don’t think there is a difference between the U.S. and Europe or between the U.S. response to a big terrorist attack and a European response. We have 9/11 and a whole set of government agencies are merged into one plus we invaded and occupied 2 countries. When was the last time any nation in Europe did that in response to a terror attack? We have the “shoe bomber” — whose plot failed — and now everyone has to take their shoes off. We are a society that is not willing to accept physical risk, and when subject to it, we immediately search for someone to blame and for the government to fix it, with resources being no constraint. We will cover every playground with foam padding, invade half the world, send half the nation to prison and keep them there. We spend much more on physical security — police, army, incarceration — than anyone in Europe. So again, I’m telling you all it takes is one spectacular attack and we will have TSA for trains. Whereas you will still be confused because you think we live in Europe. ijustwork here. a little rough with your response. im often travlling on the eastern seaboard and often take trains from Dc, philly, nyc and boston. these trains are always full and are heavily used. they ahve been running for many years. it takes less than 10 mins from arriving in taxi to getting on the train. this is in the US. and the east coast is far more suspectible to terrorism as you stated. why would this be different in California? i cant follow your logic. And if they goof on ridership get only 5M riders then it is $1k/passenger. How many people make the trip today? Those in planes are obviously prepared to live without a car on the other end, those driving I-5 might not want to do without their personal car on the other end. It’s not a $1k/passenger. NYC built their subway 100 years ago, and it’s still going. London got their first lines over 150 years ago and the tunnels are still in use. No one really talks about trying to amortize these projects, no one talks about how long before the new Bay Bridge starts to make a profit, so it’s unclear why this particular projects gets a different treatment? No one talks about shutting system down after a few years, so I’m curious why you’re worried about the $1K passenger cost over the next 100 years? By comparison, I am hopeful that the Singapore to Malaysia HST (and IMO extending to Thailand with offshoots to Vietnam) will come online within the next five years. Despite regional tensions, it will link three, possibly more SE Asian countries, open the up to further investments/expansion/efficiencies and diversify their economies. Currently, a number of discount air carriers with numerous flights and round-trip airfares of around $100 or less ply the skies. As for CA HST, I like my money back already wastefully spent so I can donate it to the Singapore/Malaysia HST fund. The Singapore to Malaysia High-Speed Rail Project was scraped last year. Well aware of the press, both Straits Times and the New Straits Times. Business and economics should prevail in the long run since KL wants to increase its underutilized resources. My outlook on SE Asia has not changed, but my outlook on CA has. The Peninsula and SF are not made for HSR speeds. Bring it over the Altamont Pass through the Livermore Valley right next to 580. This route will allow it to utilize its speed until just before reaching Oakland. How fast do you think this train will be allowed to travel in the congested Peninsula and in a tunnel under downtown SF. This route will turn HSR into LSR for California. This Peninsula route is an expensive ridiculous sham cooked up by provincial SF & SJ interests. Let’s stop playing games and do what’s best for the entire region. How do you base your conclusion that Peninsula is not made for high speeds? Tracks are straight enough for 110 mph most places, 3 curves where trains slow to 65 and 1 curve for 45 mph. I actually do think Oakland is a better hub for HSR. 1) Oakland has no terminal or a station with more than 2 platform tracks. 2) All rail lines (outside of BART) are owned by freight companies, which complicate any work. 3) Many rail lines are single track. 4) None of the lines are electrified. 5) Significant number of grade crossings with parts running down middle of street. 1) SF has one station with 12 platform tracks and another one planned with 6 platform tracks. 2) The line to it is double tracked – with quad-track passing tracks, and triple-track station approach. 3) Aside from two at-grade crossings that already have plans to be grade separated, the line is grade separated for nearly 10 miles south. Even there, there already are plans to grade separate the street. Oakland might appear geographically central, but it’s less connected than SF and as such, further from jobs and people. The tracks leading to it have not seen not seen as many upgrades for passenger trains, and ownership by Freight Railroads will complicate any upgrades. Hey Governor, Exactly why was there no oversight or transparency? Remind us again what you have been doing for the last 8 years! The project should have started in downtown LA extending out to Bakersfield – at least then it would be somewhat useful then a train between Bakersfield and Merced – that will be nothing more then a very expensive amusement ride! Until, that is, it is shut down or service reduced to once a day. Democrats have no one else to blame other then themselves in this epic fail and they want to take over our healthcare in this state – No Thanks! Amazing that they would bother to continue building the project from Nowhere A directly to Nowhere B. Bakersfield? Merced? High speed rail? What % of the population of those two “metro areas” (snark) is going to ride back and forth on them on a 200+mph train on a regular basis? The San Joaquin line can run on those tracks at higher speed than is currently allowed, and it extends well beyond just the Merced to Bakersfield section. This new track doesn’t exist in a vacuum. This is so mind boggling to me as well. Wasnt Newsome heavily involved and supportive of getting this thing going and approved, I mean he was mayor of SF while the TBC was being planned out. I just dont get it. Maybe I am wrong. The only remote hope (dream) I have here is they are going to leapfrog directly to the hyperloop and take some more time to figure that out. Otherwise, the TBT is truly an epic fail of a transit center. At least for the next 20 years! SO SAD. Oh dear, the only worse thing that could happen to HSR would be to place all of the eggs in an unproven technology with multiple risks. Let private industry prove that hyperloop works before allocating any public funds. Commercial hyperloop is coming online in the Middle East and just a couple years the technology it’s actually quite basic. You’re not wrong. Newsome was all over this exact project when he was mayor. Per the SF Gate article on this matter. “Newsom described at the 2010 groundbreaking ceremony for the transit center, when he was mayor of San Francisco. So much for thinking BIG in California when it comes to transportation infrastructure. Newsom is apparently not in sync with his party in Washington. The “Green New Deal” is all about high speed rail replacing air travel and here their champion in the bluest blue state is stabbing them in the back. The planners insisted that the central portion of the line had to be built first, that it would be easy. It hasn’t been easy, and we have nothing to show for the investment. 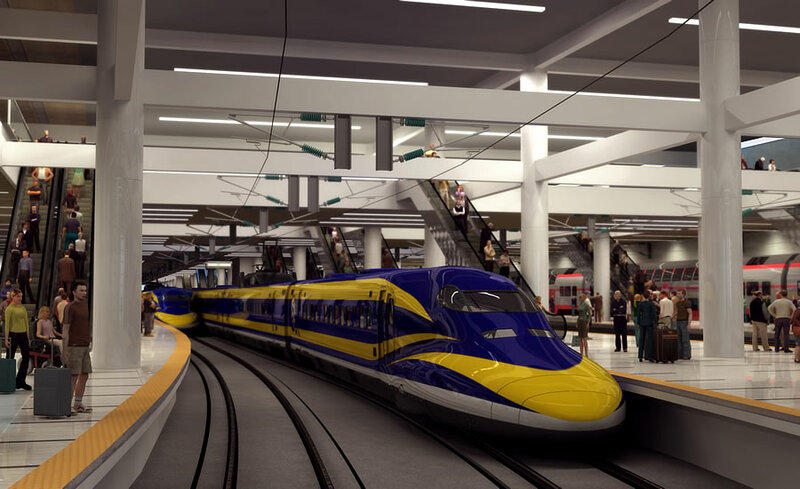 An LA to Bakersfield connection or the DTX tunnel would have been visible and immediately useful even before the high speed trains were running and could have been highlighted by a competent agency to show that the project was worth continuing. Instead, we have a train from nowhere to nowhere, no DTX, and Amtrak passengers still have to get off their trains and onto a bus to get from Sacramento to LA. All of which was foretold by “amateurs” on the internet years ago. All of that being said, this project will be built now or it will be built 20 years from now, when it is going to cost 200 billion. All Newsom is doing through this course of action is to saddle future taxpayers with an even greater burden for the sake of short-term savings. Aren’t you considering the possibility that LA>Bak would have been harder still, and all we’d have at this point for our “investment” is an overpriced wine cellar? The East Side Access project in NYC has been going since 2006; the Gottard Base Tunnel in Europe took over a decade of construction; these projects take time and billions of dollars to complete, but they were pursued because they fill a gap in service or improve existing infrastructure. Megaprojects take loads of time and cost billions of dollars, that’s just how it is. An LA-Bakersfield connection could be used by Amtrak and other passenger services immediately and would improve traffic and reduce emissions immediately. How much will this needed connection cost to construct beginning in 2030? Kicking the can down the road accomplishes nothing. The C&O Canal came in near budget, took 22 years, and was left half finished. The Hoosac Tunnel also took 22 years, cost 10x it’s budget, but has been a valuable transportation link for a century and-a-half. 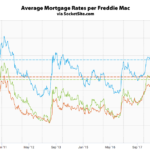 So, yes, some big digs are worth their effort…and some aren’t. And this one would be. It’s one of the busiest inter-megaregion travel corridors on the planet. We will all suffer for the stupidity and short-sightedness of these cowardly and lazy decisions well into the future. The HSR Business Plan, which suggested an operating subsidy would probably be necessary, implies otherwise. But we’ll have to agree to disagree; and having been to the turning basin in Cumberland, I can say they did get a very nice park for their millions spent. You don’t think that I-5 has an “operating subsidy”? What greater burden? It is expected to cost between $78 billion to $100 billion to complete and take 13 years, and that is assuming there are not yet more delays and additional expenses. All he is saying is we should wrap up what is already under construction (he didn’t make the decision to start construction in the Central Valley), and then put things on pause. I am not sure why his pausing things for a few years will add that much more to the timeline. Again, it would already take 13 years, best case, if the current construction schedule were maintained. 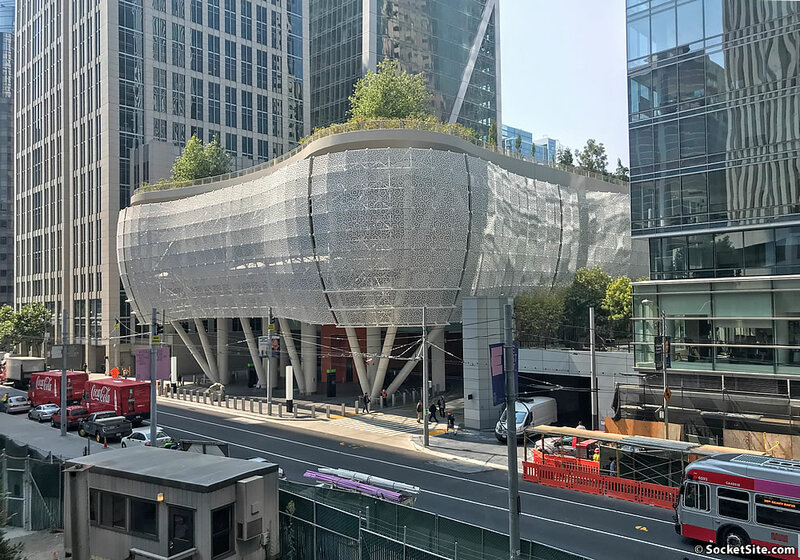 Now SF has a very expensive and pretty bus station. State Caltrans has a budget of $13 billion and about $4 billion from federal. That’s $170 over 10 years before factoring local taxes. After spending 30 billion, we can’t find any more money to connect either SF or LA to Central Valley? I just find that hard to believe. The excuse “it takes too long” is just stupid. Just because my dinner sometimes takes an hour to prepare, doesn’t mean get all my food from Burger King going forward. Just because HSR makes sense doesn’t mean it was implemented intelligently. The first part should have been Transbay–Didirion in San Jose. We could have seen real improvements. The project is underfunded, so rather than build all segments at the same time, they are only building segments they can fund to completion. That’s why we’re only seeing 52 miles for Caltrain and 119 in Central Valley. If more money was available, then other segments could’ve been built. They should have first built the SF-SJ segment, which would have a tangible measurable benefit. They should have build one of the connections from the Central Valley through the passes first – Pacheco or Tehachapi – then they would have had something to show and other stretches could have been added incrementally (the way they widen freeways over many decades a few hundred million dollars at a time). Now they have two really large projects that they haven’t even figured out how to build. Yes, but those parts are more complicated than Central Valley, so it does make sense to start work on areas that are more shovel ready. They also had limited money, so they wanted to work on segments they have funding to finish. Central Valley was both – more shovel ready and cheap enough to complete. Consider that there’s still bickering on tunnels!!! Yes, people are protesting tunnels north of Burbank. I agree that it was the easy way out – I prefer to tackle some of the greatest obstacles from the get go of projects . Amtrak is already running in the Central Valley, so a connection through either pass would have been a great leap forward. $5.5B spent, but my understanding is that $3.5B came from the feds. There are 30M taxpayers in CA, people who filed returns. Of the $2,000M we spent, 30M people paid for it, or about $67 per taxpayer. If our share of the $3.5B from the feds was about $300M (i.e. how much we paid, of the $3.5B), add another $10 per taxpayer. $77 per taxpayer total. It’s not that it’s that expensive, it’s that with all the graft involved in a one party state, we just can’t do it. Bids are given to political favorites, where issues like diversity and campaign donations back to Democrats are more important than competence. So the whole thing was mismanaged, and always will be. You can fill potholes that way, but you can’t build a rail system, or even expect the terminal to be properly built, and it wasn’t. The SF terminal will be closed repeatedly until they finally tear it down, if Millennium Tower doesn’t fall on it first. So here’s to Gavin, who has accepted reality. I wouldn’t want to be his best friend, but I’ve been a fan of his, since his days as governor. I, for one, look forward to completion of the nowhere to nowhere part of the line, sometime in the year 536452625. It isn’t a flat tax and not every single person paid for it. Calculations should be based on percentage of tax allocated to this project and then applied to the total amount of taxes each particular taxpayer paid in each of those years. Now the feds. want a refund of their $3B. Take it out of the pensions of state employees. We do not need that many state government workers. This is partly due to SF and SJ interests redirecting HSR from the original Altamount Pass route which would have gone through Livermore and connected to all BART lines at 12th Street/City Center in downtown Oakland before making its way up to Sacramento. Most of the track would have been above grade and much cheaper that driving HSR 40 miles up a Peninsula so that it would end in a trophy station in a San Francisco cul-de-sac. San Francisco hubris helped ruin HSR for our Bay Area region. The Altamont Pass route was changed to a Pacheco Pass route through San Jose and up the Peninsula to end up in SF. This was done to appease San Jose interests at the Diridon station and SF political and business interests who wanted a “Grand Central Station of the West” for San Francisco. It was a political power play which ballooned the cost of the project. Altamont Pass to link up with all BART lines in Oakland is the least expensive and most logical route to serve the entire Bay Area region. Let’s hope they choose this route when and if they build phase 2. HSR dropped 700 million to upgrade Caltrain line. Aside from some capacity upgrades, when complete, that line COULD handle HSR trains. The Oakland lines are owned by freight railroads, and many portions are still single tracked, so would require a lot more upgrades than Caltrain. Furthermore, there aren’t any stations in Oakland that have more than 2 platform tracks, so you’d need to build a new station which takes land. Neither Jack London Square nor Emeryville is connected to BART, so accessibility is a problem. So yea, on paper, it might seem easier, but in reality, it’s much easier to use Caltrain and leverage those funds to create a single high capacity corridor. There is talk about a JLS station in the future near Howard Terminal and a new waterfront park for the A’s. This would be an excellent location to link up HSR. All four BART lines go through here at 4th & Washington. The Amtrak tracks could easily be converted in this low speed segment of the route. This station would be 10 minutes from the Embarcadero Station in SF and connect to a second trans Bay BART tube. I don’t see why BART would build a station 1/3 mile next to an existing one right in the WYE which is already the big chokepoint of the whole system. You’re right that a new station could be built there, but the current stadium designs don’t leave much room for more than another 2-track station. Oakland would be better off tunneling between Coliseum and Emeryville stations and putting a new underground station under 11st BART, but there’s no momentum to create better transit links in Oakland beyond what they have today. Wish it was otherwise. The Caltrain tracks and right of way already exist. It’s much cheaper to use that than build a new one. The Amtrak tracks and right of way already exist from Oakland to Sacramento. Why go up a 40 mile Peninsula to end up in a cul-de-sac when Oakland is 4.5 miles across the Bay Bridge and a 10 minute BART ride from downtown SF? Makes no sense and it’s prohibitively more expensive than to take it through the Altamont Pass to City Center/12th Street BART in downtown Oakland. That right of way is owned by the freight railroads, Caltrain’s is owned by the government. The existing OAK-SAC railway route is too twisty and windy for HSR. A whole new route with tunnels and viaducts through expensive Alameda and Contra Costa counties would need to be created to support HSR. Plus take a look at the map: does it make sense to divert trains from LA to Sacramento via Oakland? That makes the diversion through Palmdale look like not nearly as bad of an idea. No, a wye near Modesto as planned makes a lot more sense. @MoD, a a wye near Modesto is NOT planned. That would be the discarded Altamont route. My money is actually on that route as a stopgap link between HSR and Dublin/Pleasanton BART into the Bay Area. EBGuy – Sorry, I meant between Merced and Madera. I get my Central Valley M towns mixed up (hangs head in shame). oakland is a suburb of SF and doesnt ahve near the business or touriist draw of SF (or even San Jose). why would we have the HSR stop there? Yes, Oakland is a suburb, but you could have HSR stop there. It is my understanding that France does not run the TGV into the central core of cities but place them at the edge similar to the airports that they compete with. It may be a lot more convenient to arrive in the central city, but also cost a lot more, especially if you have a good metro system in place (I am not sure if BART qualifies as such). I wonder if the reason they chose to go up the peninsula instead of ending in Oakland is because the population of SF + SJ + the peninsula is millions of people more than the population of Oakland. Might they be interested in serving as many people as possible? More than 2.7 million in the East Bay with another 870,000 people across the 4.5 mile Bay Bridge, not to mention closer access to Napa and Solano counties. Oakland is the geographic center of the Bay Area closest to the largest segment of the entire Bay Area population. Also BART from Oakland is heading to San Jose. There are 3.6M people from Sj to SF, which is more than 2.7M. And the Altamont Pass route wouldn’t go near many of those people, while the SJ-SF route would pass directly through them. Millions more people would live within five miles of the peninsula route. It’s not even close. So this HSR through the Peninsula will have stops along the way? We can have stops in Santa Clara, Cupertino, Mountain View, San Mateo, etc.. Also, there are not over 3 million people living between SF and SJ. San Jose and SF will be served by BART from Oakland. No reason for a slow HSR through the Peninsula. No reason at all than to try to bring more business to certain we’ll connected interests in SJ and SF. Private venture? I’d like to imagine if CA lays the core of the line that at *some point* a private developer/operator would come in and take advantage of the momentum and financial opportunity, building out the rest of the line to the city — or at least Sac or SJ. The state would have to return $3.5 billion to the Feds if they cancelled the Central Valley project, so the governor decided to finish that section. Amtrak can use it to run their trains a little faster. That will provide a small benefit to people in the Valley, although current trains are only 1/3 full on average. Still, it will cost a fair amount of money just to maintain that section. I predicted this project would end up being ditched, and I was correct. There are almost 3 million people along the rail line between Merced and Bakersfield. So a (limited) market for rail travel does exist there. And as others have pointed out, Amtrak may use the new tracks to speed up service in the central valley. As more funds become available a Phase 2 may become doable to extend the central valley backbone to LA and SF. Could someone explain precisely how neutering HSR directly results in also not undergrounding (the separate) Caltrain line? I see in the editor’s blurb that some portion of the electrification funds were going to come from the HSR pot, but I don’t see any such direct connection being made w/r/t undergrounding/DTX (though I imagine that could be the case, since there would be clear synergies in the work). Without HSR helping to foot the DTX cost and necessitating the development of an HSR compatible station, it will be an even greater challenge, both politically and financially, to justify demolishing a functional station and fund a $6 billion project to underground and extend the existing rail lines. Totally predictable. This was the excuse used to up zone the TTC area. Resulting in a slew of ugly buildings and especially the Salesforce tower. A blight on the skyline. The Parcel F folks, given this, paid way too much for their site. The transformation of the Rizzo building to all hotel (due to slumping condo values) may be the lesser of evils now. The slew of hotels planned, including a big chunk of the Parcel F tower, may not be needed. Given the large cut in projected pedestrian traffic in the area as a result of this the already struggling retail sector will be further impacted. And of course the related impacts as DTX looks like it may never come to downtown. Sadly, no one will be held accountable. Have you ever been to the Transbay neighborhood? It’s packed and the new buildings are occupied basically as soon as they are opened. You should check it out sometime. Give it a rest troll Dave. The Parcel F office component is fully leased even before it breaks ground. The area around the TTC was going to be developed whether the TB terminal was built or not. Pedestrian traffic in the area is robust and growing . Governors are only in office for 4-8 years. This will be built, IMO and even Peskin said SF and SJ should look into a partnership to get the DTX built. Yeah, the SF, SJ, conspiracy which rerouted HSR from the geographic center of the Bay Area in Oakland. Thanks for acknowledging what I’ve been saying. Conspiracy to route HSR from the geographic center of the Bay Area? How about a logical decision to ensure that HSR directly serves the Bay Area’s largest population center in the South Bay? And is SF’s transbay terminal that far from the Bay Area’s geographical center? It was mandated as the terminus in the legislation that kicked off CAHSR anyways. Stopping in Oakland would require building a long, expansive crossing of the bay to reach SF. Not that a second tube is a bad idea, but it both inflates the cost of CAHSR as well as leaving the South Bay without a direct connection. No, you are very confused. Peskin is just one person on the Board of Supervisors who proposed to talk with SJ about a partnership . It has nothing to do about your “wild” conspiracy theory . Nice try. That didn’t happen. You are, objectively, a compulsive liar. It is not healthy, it is counterfactual, and it is completely embarrassing. The LA to SF route is flawed because it is taken literally as specific destinations instead of thinking about the best ways to link both entire regions. Downtown LA is not a destination and SF proper is on a peninsula, is too hard to get to, and is not in the geographic center of the Bay Area. The perfect route with the highest possible ridership would be a HSR station linked to all BART lines at City Center BART in downtown Oakland to a station in Anaheim at Disneyland. Families from the East Bay and from all over the Bay Area would flock to this HSR route instead of taking the 6 to 7 hour drive down Highway 5. This entire “LA to SF” thinking is what makes this so expensive and not feasible. Think about the regions instead of trophy stations for certain cities. This is the most delusional thing you’ve ever said. More delusional than the “downtown Oakland needs a 2000 ft skyscraper” take? I would argue that Downtown LA is MORE of a destination than LAX. Furthermore, the percentage of passengers deposited at LAX that can reach their final destination via transit is much LOWER than LA Union Station. You’re right that LA region very sprawled out, but HSR will have stops in Burbank, Downtown LA and Anaheim to give passengers a better opportunity to disembark closer to their destination. “Downtown LA is not a destination” . Huh? Have you even been to DTLA in the last couple years? The downtown area is booming, tons of condos just completed, nearing completion, etc. Robust restaurants scene, museums, tons of foot traffic, businesses, courthouses, etc. Plus DTLA and Union Station in particular is the hub of a large and growing subway and commuter rail network to reach the Greater LA region. (1) if they still built the entire thing and a HSR train never, i don’t think it would affect SF rents at all. (2) BART should be extended to Santa Cruz, Merced and Sacramento before this HSR thing is built. (3) BART, Muni and all the others should have a universal $30 monthly unlimited pass. The point of mass transit is to get people out of their cars. Give them a reason to. This HSR thing is big gov showboating. It won’t decongest the roads and as a jobs program, it serves the lobbyists and architects better than the guys with shovels and equipment operators. I wish it would happen but there’s too many ambitious people in the way. This is the most delusional thing I’ve ever read on Socketsite. Period. 2-3hrs “Super Commuters” are fine in Wash DC area but not SF Bay Area? If people can buy a house 100 miles away from SF but work downtown, believe me, they’ll line up. Thinking Super Commuting wouldn’t catch on is delusional. DTX extension of caltrain doesn’t make any sense. New Muni line on 4th street should connect BART and Caltrain saving the city billions that can be spent on other more impactful projects. What should have happened is the billions that we’re wasting on the 4th street MUNI should have been spent on DTX. Uzbekistan managed to build hsr between Tashkent and Samarkand. Uzbekistan did this. Think about it. The US is a joke when it comes to building infrastructure. Seriously, if this HSR project is a bust, let’s acquire the Union Pacific tracks between SF and LA, modernize and straighten them, and then double-track them all the way so Amtrak can go faster than 35mph between SoCal and NorCal? That would be nice though the cost to straighten the “101” railway route would be enormous and probably on the same order of magnitude of CAHSR. For example check out that horseshoe curve on the Cuesta grade and then the part where the tracks hug the mountainous coastline from Vandenburg to Ventura, That;s gonna require tunnels and viaducts in order to pass through straight enough to run at high speed. Then consider that there aren’t nearly as many people living along the Central Coast compared to the Central Valley. Naw, I wasn’t thinking anything that ambitious. I love the Cuesta horseshoe anyway. Stunning scenery and an amazing piece of engineering. I was thinking just small tweaks here and there so trains can go faster than 35 to 40 mph in level terrain. Double-tracking would also help immeasurably so Amtrak trains don’t have to pull over to wait for slow freights to pass or for trains heading in the opposite direction. True, 101 route won’t serve near as many bigger population centers as HSR would, but it will get me home quicker! OK, scaled back incremental improvement would definitely help. If there was a way to cut the travel time in half to about 6 hours SF-LA then it has the promise of being useful for everyday travel. Today the Coast Starlight is basically a tourist excursion. Loved by retirees with plenty of time on their hands though not attractive to ordinary travelers. Gavin Newsom is a craven egoist who should still be running a small retail store selling overpriced wine, not running the State of California. If there is any justice in the world, someone will run against him in the next gubernatorial primary for the sole reason that with this decision, he’s proved he simply cannot lead. A true political leader would find the money to get the project done, not pack up and run when the going gets tough. There has been plenty of oversight on this project; large infrastructure projects in The United States get more expensive as time goes on, and anything more complicated than a single highway overpass goes over budget or late in terms of schedule and many times, both. More or different oversight would not have changed that fact. More or different oversight would not have stopped the about a dozen lawsuits filed against the project just since the Central Valley leg environmental documents were completed. The state’s 2018 business plan calls for building 119 miles of rail from Madera to Wasco for $10.6 billion, but Newsom said he wants the rail line to run from Merced to Bakersfield. The Bakersfield extension alone would add more than $2 billion and the Merced extension another $2 billion. Those two additions alone take the project to $15 billion. Does he really think that the extension to Bakersfield is only going to cost “more than $2 billion”? Is he going to wait two years and then when the cost is up to more than $5 billion decide that going just to Wasco is good enough? Yes, the rail line will be from Madera to Wasco. In Madera the train can go on the Santa Fe rails currently used by Amtrak and head to Oakland. In Wasco you can get on a bus – there are no rail connections in Bakersfield anyway and they are all about oil and big trucks, not trains (have you seen any support for HSR in Kern County)? And yes, no leadership here! He’s a terrible leader who doesn’t know how to get things done. He lost the Niners to Santa Clara! Total loser. In a narrow sense, sure. China is totally screwed on so many other levels though. Little victories, I guess. Reminder that the estimated cost for adding equivalent capacity to HSR in the form of new highway lanes and airport gates/runways has been estimated to cost more than the HSR system. Exactly. Yes, HSR is expensive. It’s also expensive to build new airport runways and widen I-5! Not to mention that short-haul intra-California flights are a pretty egregious waste of gate slots at airports. If HSR even offset a fraction of them, those existing gates could be used to improve medium and long haul connections. This would be especially helpful at OAK and SJC. Not just “more”: triple the cost of HSR. It may not be able to pay for itself completely, but do airline tickets pay off all costs of airports, their employees, maintenance equipment, etc? Freeways don’t pay for themselves and unless they are toll roads they are 100% taxpayer subsidized. HSR will be built. We just need to wait for a Dem president and Dem congress in 2020. Actual scenery? Not most of the way, unless you think seeing 200 miles of lettuce fields is scenery. And you can be sure TSA will be involved (can we say big terrorist target? ), making the actual trip longer. And sure, Pelosi will agree to fund most of the entire $300 billion cost. (eye roll) And btw, Europe has a huge airline industry despite the extensive rail network. The budget airlines tend to be more economical than HSR. Anyone who thinks this won’t be a poorly ridden money pit (if ever completed) is delusional. But you’re totally fine sinking hundreds of billions of dollars into freeways (and worsening the idiotic induced demand problems we already have), which recoup precisely none of their public costs. HSR will have virtually no impact on people driving around the Bay Area or LA. Most people driving cars on I-5 to Los Angeles will continue to do so for economic reasons. No one flies budget airlines from London to Paris or short distances like that. While we don’t know about TSA, one has to wonder why they would setup TSA screening for that train, when you have standing-room only Caltrain freely available in Millbrae or packed BART trains leaving West Oakland every 3 mins. That’s kinda like locking your front door with a deadbolt, but leaving the back door wide open. no TSA on east coast trains. 1000s ride them everyday. whats the differences? You people have zero idea of the bad economics of this. It just sounds good to you. The ridership projections are absurd and the costs are likely to be many times what they say. There will be no private investors as they aren’t suckers. HSR won’t do much to decrease auto traffic, and the environmental impact is much worse than environmentalists claim. Maybe there won’t be TSA, but most people are not making trips from Downtown LA to Downtown San Francisco, so the time from door to door for most people will be similar (or slower) taking an airline. airlines have a much higher cost to society and our future as a livable planet. 2) HSR as a big terrorist target: unfortunately terrorists already have plenty of better targets. Our schools for example. Or if you wish to stick to trains, how about Caltrain, BART, etc.? Much more packed and “target rich” than CAHSR will ever be. 4) European budget airlines more economical than trains: Maybe if you exclude externalities, costs to reach airports, and the HSR sweet spot journys between 100-500 miles. FWIW, I’ve flown on “one pound” Ryan Air flights. Can’t beat that. Also can’t use such extreme loss leaders for comparison. I’ve also taken a 18 Euro TGV from Strasbourg to Barcelona, first class and are under no delusion that either fare is representative of the average travel cost. 5) CAHSR as a money pit: How does that compare to the profitability of freeways? Is there value engineering possible for Caltrain DTX. There has to be an easier way to get the trains downtown with trenches and cut and cover? What would the Swiss do? IOW: once one figures in the cost of disrupting the day-to-day life in a world-class city – or, lacking that, San Francisco – it is discovered that “cheapest” ends up more costly. (Actually it appears the major choice that was made was whether 2nd St should be tunneled or cut/cover: the phanta$y of a straight line/ deep level tunnel was never covered – pardon the pun…even this project has its limits, it seems). But at least we’re back discussing what this thread is supposed to be about – side effects of the Decision: Will SF face reality and at least salvage some concentrate from the lemons by succeeding in diverting HSR money to DTX or will it piddle everything away? How do we seriously want to hand over more power and more scope – like running healthcare for everyone – to the government when it is so evidently incompetent? While I’m sure that there’s some element of incompetence in an organization as large as CAHSR, the most serious impediments are political. Different ideological factions are fighting and CAHSR is one of the causalities. A little too late to stop handing power over to the government. It already runs the police and the military. It’s not clear what libertarian ideologues mean to be the alternative to handing over scope to the government. What should we do, hand more power and scope over to the Billionaire class? Sand Hill Road VCs and their hangers-on? Are the same kinds of people who came up with “innovations” such as illegal hotel intermediary Airbnb or quasi legal taxi services like Uber going to take on the decades-long task of building a high speed railway? Come on, it’s Gavin, he’s calculating. He could jump on the new bandwagon of the progressive Democratic party wing, with HSR as his rallying cry. And what sort of success do you think he would have in that crowd? Not much. So, he’s got to make hay somehow, and HSR isn’t going to be anywhere near complete during his tenure—only two possibilities: it could be behind schedule and over budget, or way behind schedule and way over budget. Not good for him at all. I think he probably really believes in HSR, but he’s a politician. “One of these compromises — taking a somewhat less efficient route through the Central Valley in order to hit more Central Valley population centers — was defensible on the merits, since hitting intermediate destinations increases ridership. “A second — taking a weird detour to Palmdale rather than going straight from LA to Bakersfield — was totally senseless, slowing down traffic at great expense purely to promote a single transit-oriented development scheme that happened to have sparked enthusiasm on the LA County Commission. “The third — which provoked endless fights among blog commenters years ago — was deciding to serve San Jose on the main line rather than with a spur, even though this cost more money while making LA-SF trips and trips from Sacramento to both Bay Area cities slower. In related news, Master Schedule for Modernization of Caltrain Officially Slips.